Wes Anderson’s films tend to evoke strong reactions. (You might have noticed that he’s pretty popular around The A.V. Club.) 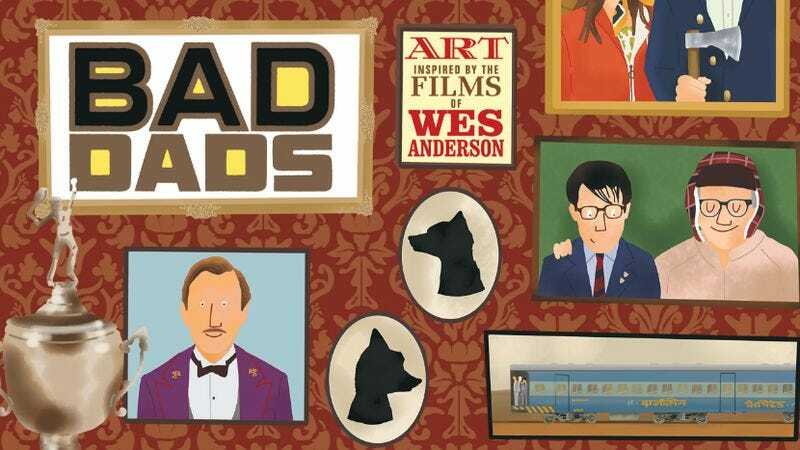 His filmography even inspired an art show in San Francisco that has turned into a yearly thing, and now a book: Bad Dads: Art Inspired By The Films Of Wes Anderson. (It’s the third in the “Wes Anderson Collection,” Matt Zoller Seitz’s lovingly exhaustive looks at Anderson’s career as a whole, and then specifically at The Grand Budapest Hotel.) It should come as no surprise that the paintings, prints, and various other representations are meticulously detailed—they follow Anderson’s lead. Below, you’ll find Anderson’s own foreword to the book, which will come out on August 9. My father was the first person to mention to me, several years ago, that some people in California were putting on an art show with pictures based on characters in my movies—and that it was going to be called Bad Dads. Jason Schwartzman and I paid a visit to the last Bad Dads show when it made its appearance in New York. By the time you get yourself out of the cutting room on a movie, you usually have a strong desire no to be exposed to the material ever again for the rest of your life. But, it turns out, after a decade or two, it can be a nice feeling to revisit the old characters. Jason and I moved from picture to picture with our hands in our pockets, nodding and murmuring. I guess we were kind of walking down memory lane. I cannot take credit for much of anything on these pages, and I do not even know if it is actually legal to publish this book? It probably violates if not my own personal copyrights then almost certainly those of a number of multinational entertainment conglomerates. But, for whatever it is worth, I approve, and I hope you will, too.